The Adobe suite of software is well known as the industry standard for design and creative software in many spheres of business. The main downside of this software, however, is its cost which can be prohibitive to small businesses and private users, for example, students. In addition, it does not run on Linux installations. Fortunately, there are some extremely good open source alternatives to the most popular programmes in the suite available at no cost whatsoever. These substitutes are not necessarily as user friendly as the Adobe alternatives and may be somewhat tricky to adapt to if you are already familiar with the Adobe setup. Being free, the software is not without its trade-offs and challenges, but there are plenty of training materials to help you on your way. They also lack the cross-platform integration Adobe offers, but that is a small price to pay for top quality free software which runs on Windows, Apple and Linux installations. Photoshop is the cornerstone of Adobe’s suite - probably the most diverse and powerful of its software with tools to meet almost any image manipulation requirement. 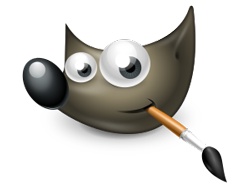 Its free counterpart, GIMP (GNU Image Manipulation Program), offers a nice clean interface with familiar menu bars containing most of the Photoshop tools, layers and brushes windows and colours and patterns palettes. It also offers a handy tools options window, not present in Photoshop, which makes modifying your tools quick and easy. It has a couple of tools that Photoshop doesn’t have and it can also export images in certain formats that Photoshop can’t. There is an excellent training video available on lynda.com for those who wish to get started using GIMP or make the switch from Photoshop. GIMP will probably never have the kind of clout that Photoshop can offer in terms of the huge array of effects, 3D capabilities and other features. It does, however, offer a handy selection of plugins, brushes and tools (available from its registry) to enhance the functionality of your basic setup. You will have to set up your own keyboard shortcuts as they come automatically disabled. There are differences between the Windows, Linux and Apple versions, which are explained in the training video. All in all, it is a powerful image manipulation tool, which should serve the needs of anyone wanting the basic functionality of Photoshop without the frills. Many graphic designers use it either as a free standalone or in conjunction with Photoshop - testimony to its quality. Adobe Illustrator has been around in the design and DTP sphere for many years. It is a very stable and powerful programme and is considered the must-have software for working with vectors such as logos, icons and illustratio ns. Inkscape is the open source alternative and was a great delight to try out. Apparently many professionals prefer it to Illustrator due to its no-frills, user-friendly interface and the fact that it creates smaller, lighter SVG files than its Adobe counterpart. They will often use Inkscape for basic work and Illustrator for the heavy lifting. As an Adobe user, if you ever used Freehand, the precursor to Illustrator, Inkscape’s interface and functionality will be quite reminiscent of that. On the downside, you cannot float the toolboxes and therefore move them onto another screen for ease of design. It does lack some of Illustrator’s more advanced tools and functionality, but it’s very easy to use. There are add-ons which you can install to enhance its scope and the range of tools. Inkscape works with the SVG file format and exports to many different file types (more than Illustrator), but it will not work with Illustrator files unless they are specially modified. Many of the attributes of the Illustrator file, such as layers, will be lost. There are also some effects that won’t work between the two programmes such as cloned objects and flowed text. There is a lynda.com training video on how to use Inkscape for those who wish to become familiar with the programme. Inkscape also has fantastic user support, including FAQs, a discussion forum, tutorials, documentation and chat. At any given time, there are support networks available to assist and advise you. Over the last 10 years, Adobe InDesign replaced Quark as the industry standard for desktop publishing (DTP) and is used everywhere from advertising and design agencies to the largest print, media and publishing houses. many of the same features as InDesign, i.e. all the features you would need to create a professional and polished DTP product. For Adobe users, you will find Scribus quite different in terms of look, feel and functionality to InDesign and it will take some getting used to. For all new users, there are a series of training videos on YouTube and by Craig Maloney which take you through the basics to more advanced techniques of using Scribus. Scribus is not the most user-friendly programme, and here InDesign beats it hands down - until you’ve mastered it. The interface is not very intuitive and can be unclear. In order to get additional functionality, you will need to download, install and run scripts, which may be above the purview of the average user. The software does not support Pantone colours, which limits you in terms of production. Editing text is cumbersome and limited compared to Adobe. It is done in a separate frame, which means you can’t really see how it will flow on the page and this can get frustrating for those who are used to working with InDesign. It will not open InDesign files, so there is no cross-programme compatibility. Documentation and the available knowledgebase is much smaller than with many other open source software packages. This can be annoying and it means a lot of Googling to get to grips with the trickier elements of the programme. The trick with this software is to remember that it was developed by and for ‘techies’ and that there is a pretty steep learning curve in getting used to it. Your best option is to watch plenty of tutorials to teach yourself how to use it (or adapt to it, in the case of Adobe users). All in all, it is a pretty powerful piece of software and should suit the needs of anyone who needs to master the basics of DTP and create decent printable products. With austerity measures on the horizon at UCT, embracing new and more cost effective alternatives must be in our plans and strategies for the coming years. After testing these software options, they could definitely be recommended as replacements to the Adobe alternatives in certain cases. When it comes to design-based courses such as Architecture and Fine Art, not giving the students access to industry standard software such as Adobe would probably be detrimental to them as they enter the workforce. Where Adobe software is used, but not essential, offering these alternatives would be highly recommended as a cost-saving measure. Training would also be recommended for new users and those transitioning, as the software reviewed has a steep learning curve and can be challenging for the inexperienced.